Founded in 2001, Singletree has been developing and implementing applications that are created with usability and flexibility in mind. We know that an application needs to adapt to each client’s business. We also know that no matter how well the application fits the business, if it doesn’t allow the end-user to work in an efficient and time-saving manner, then we have not hit the mark. Shane Walters is the CTO and founder of Singletree Technologies. He has worked with product development in the apparel industry since 1991 and has a broad set of business domain knowledge and enterprise IT skills. Since July 2001, Shane has been working to make Singletree Technologies a company that delivers software and solutions that exceed customer expectations. Singletree’s customers cover the spectrum of apparel companies from the very large to the very small, basics to fashion, internally manufactured to 100% contracted, and lifestyle brands to private labels. Experience with these diverse apparel companies has continued to give Shane the insight needed to make software applications that are effective and flexible. From 1996 – 2001, Shane was part of a team at VF Services responsible for implementing best practices throughout VF in product development including process reengineering, organization structure, and best of breed technologies. Shane was the IS lead on this team which included business process experts, trainers, testers, and programmers. A big part of this team’s tasks was to implement WebPDM throughout VF. He was responsible for all technical aspects of the team including coordinating new releases, designing and constructing custom components, and interfacing WebPDM to VF’s many ERP systems. The diverse nature of VF’s business units has taught him the challenges that apparel product development faces and the unique needs of that industry. Shane spent the first four years of his career at the intimates division of VF. His first duties at VF Intimates included programming a new Line Sheet and Product Specification application in an MVS Cobol environment. He also spent a year at Electronic Data Systems as a Programmer/Analyst for a large restaurant account. Shane’s experience has given him a broad technological and apparel skill set. His technical skill set includes Visual Basic, DotNet, Java, XML, Oracle, DB2, MQSeries, and web technologies. His business acumen includes all parts of product development from line planning and concept development to developing product cost and manufacturing specifications. Combined, his technical skills and business experiences enable him to assess the product development challenges that a company faces and quickly deliver a solution that is practical and innovative. Vincent Candela is the President of Singletree Technologies. He is in charge of daily operations as well as partnership management. He has over twenty-five years of professional experience. Fourteen of those years were spent in the retail and apparel business. He has held management positions in both business and technology disciplines. Because of his unique background, he is an expert at understanding business requirements and translating them into technology solutions. Before joining Singletree, Vincent was the Vice President of the Retail Technology practice for 3i Infotech, Ltd.. Vincent put together an extensive retail client list in his 5 years at 3i Infotech. He also led the effort to develop and market 3 retail software products that are targeted at the demand planning and supply chain management aspects of the business. He was able to show his clients how leading edge technology can add real business value. Vincent spent thirteen years at Polo Ralph Lauren Corporation in various capacities. He managed a global applications team that successfully deployed design, product development, demand planning and supply chain solutions to the business. He also collaborated on I.T. Strategy initiatives which outlined the road map for new business applications. Additionally, he led a team that performed a detailed evaluation and selection of enterprise resource planning systems. Before joining the I.T. team at Polo Ralph Lauren Corporation, Vincent held several management positions in the product development, production, replenishment, costing, and purchasing business groups. He led many business initiatives that streamlined the process and increased profitability. He was instrumental in transforming Polo’s outerwear business into a profitable product line. He also led an initiative to start up a $100 million replenishment business for Polo which still thrives today. Before joining Polo, Vincent spent several years working as an accountant at several manufacturing companies. This has given him a strong foundation for the rest of his career and enabled him to keep a bottom-line focus in all of his endeavors. Suzanne Johnson is an industry expert with more than 18 years of experience. Starting in retail, she grabbed hold of the fashion industry quickly, becoming one of the youngest store manager at the time when she was 19. From there she decided to move to the manufacturing end of the industry. During her 5 years at Liz Claiborne, she gravitated from an assistant production planner to becoming a product manager handling all ongoing Twill production for Liz’s then thriving LizWear Division. During that time, she noticed her nitche for understanding and maneuvering within many different systems. She was able to quickly master system functionality and would recommend enhancements which would make her job, and everyone else’s easier. She also started training new personnel on these systems. It was not her position to train, but she wanted to make sure new users completely understood what they were working with. Moving on in the industry to Polo Ralph Lauren, she maintained her business expertise but continued to delve into systems. She constantly tried to get as many tools as allowable in order to make the groups process easier, more streamlined and consistent. Because of that she became a thorn in one IT Director’s side (Mr. Candela) but made a lasting impression. When Singletree Technologies was looking for a business analyst and application specialist, Suzanne fit the part. 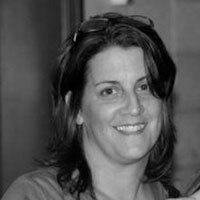 Since joining the company, Suzanne has been an integral part of the development and requirements of new software and has successfully implemented these applications in many different apparel industry types. She continues to test new functionality, and train end users on the same. The transition from the business end to the technology end of the industry was a natural progression for her. She continues to love exploring and learning new ways of doing things and thoroughly enjoys her career, which is displayed through her enthusiasm and dedication to Singletree. 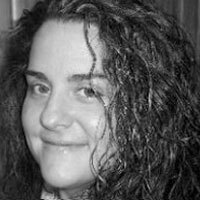 Shara Walters joined Singletree Technologies in 2006 as a Support Specialist. Prior to working at Singletree Technologies, Shara owned and operated her own business. Before that, Shara worked at a large appliance manufacturer as a programmer. Shara enjoys being part of the Singletree Technologies team and helping where needed. Away from the office, Shara enjoys spending time with her husband and two children. 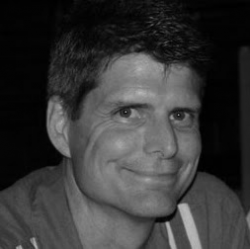 Ben Strupp has over 15 years of experience in project management, system design and implementations in a variety of retail, wholesale and direct-to-consumer companies. With strong business operation skills, Ben is a professional individual with integrity and an ability to communicate well at all levels of an organization. 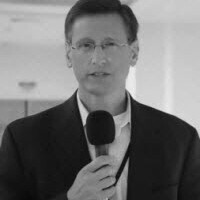 He has been leading projects with software and retail consulting firms across a wide range of functional areas, including product development, global sourcing, costing, PO management, logistics tracking, finance, catalog management, warehouse management, and others. Prior to joining Singletree, Ben provided thought leadership for a retail consultancy’s PLM and sourcing practice. He advised clients on best practices, and he conducted interviews with senior executives and end users to gather requirements, define business and system processes, and provide strategic direction. Ben has also served as the director of professional services, as well as director of product design for a merchandise lifecycle management software company. In these roles, in addition to leading projects, Ben mentored consultants and worked with development partner clients to design and roll-out new functionality in the Product Lifecycle Management (PLM) space. 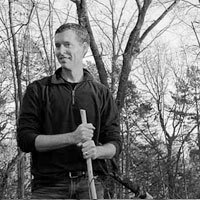 Ben lives with his family in Asheville, NC and enjoys spending time outdoors, hiking, biking or just playing with his kids. Gerber Technology is a technology leader in the sewn goods industry. They continue to meet the needs of their customers around the globe with innovative new products. Gerber Technology resells some of Singletree’s products. Singletree is also a prime integrator of Gerber Technologies WebPDM. Pure PLM is a unique consultancy in Australia providing local expertise to Australian Apparel Retailers, and Wholesalers, enabling innovation through process improvements, services cover Product Lifecycle Management (PLM) evaluation and implementation, Business Process Definition, Change Management and IT System deployment. Below are marketing emails that we have sent out over the past few years.